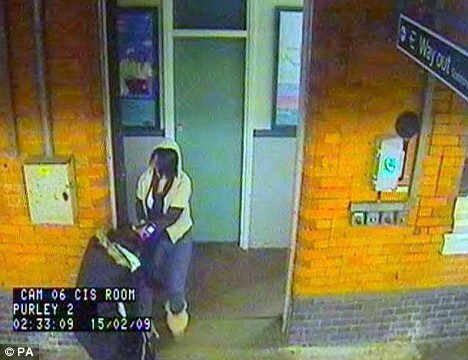 A brutal attack on a 31-year-old woman by a female robber was caught on a CCTV footage at a train station. 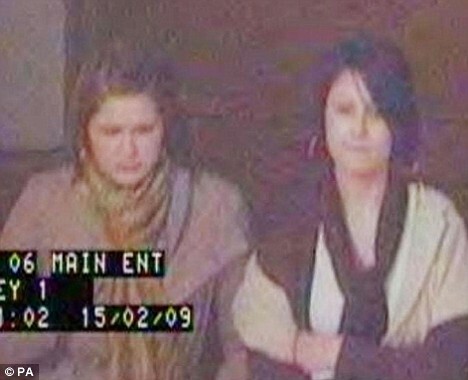 The footage showed one of the two girls dragging the woman, who had been talking on her mobile phone, by her hair as the other girl stood nearby. Only after the victim handed over her phone, did they flee the scene. Detective Constable Paula Eustace, of British Transport Police (BTP), said the woman was rescued by a railway employee who heard her shouting for help. He attempted to chase the attackers but were unable to catch them. The police have released the CCTV footage of the attack which took place on February 15 in an effort to trace the muggers. 'This was a particularly nasty attack on a lone female. While the second woman did not take part in the robbery, the CCTV shows she did nothing to stop the victim from being attacked. 'We are following a number of lines of inquiry and hope that by releasing these CCTV images members of the public may be able to provide us with valuable information." The main suspect is described as white, aged between 20 and 25, 5ft 6ins tall, with black, shoulder-length dyed hair. 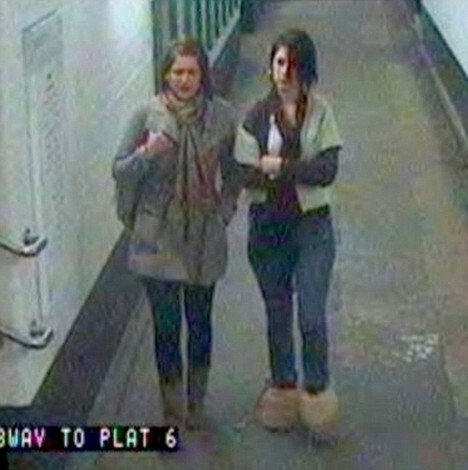 She was wearing jeans, Ugg boots and a cream hooded cardigan which was found at the scene.